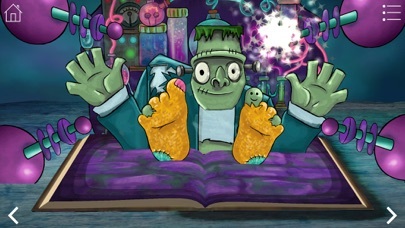 My 5 yr old loves this, just bought it and really well done, opens as a pop up book and each page has a fun interactive game to do, not scary but cliche spooky characters and sound effects, perfect for Halloween. Has narrated directions for non readers. I think it's worth it and I want to check out their other apps too now. $4 and She loves it! My 2 1/2 yr old loves it. Just go in to buy the in-app combo for $3. 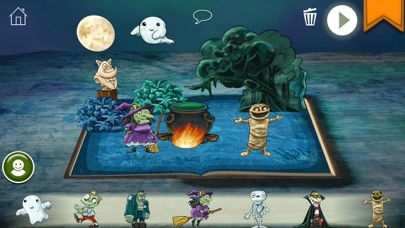 The 'book' is great - really it is several mini games. 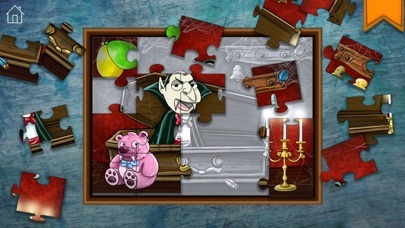 And the puzzles are well worth it with the different skill levels. Right in the open for kids to see—not just for parents. 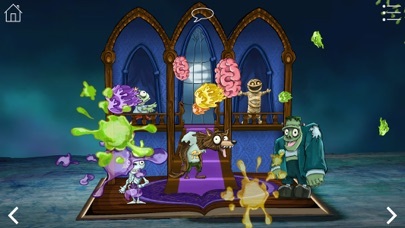 Richly colorful animations that comprise stories, puzzles, and pop-up stickers to place in ones own settings. Variety of difficulty levels to delight and challenge a range of skills and ages. I got this for my 3 1/2 year old. 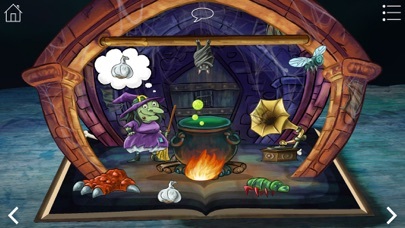 It's a fun app with a good Halloween feel, but not too scary. The visuals are interesting, the interactive stuff is good and fun, good voices. I recommend this.